Wednesday 6th June 2012 at Appleby, Cumbria, England, UK. Horse drawn bow-top wagons arrive from all over the UK for Appleby Fair, the biggest annual gathering of Gypsies and Travellers in Europe. 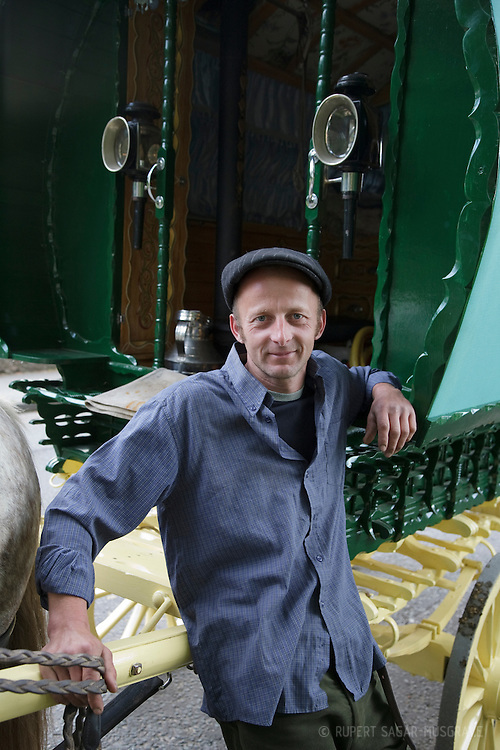 Jason Plant (pictured) makes his own wagons, and has spent two and a half weeks on the road to reach the fair from Stoke-on-Trent.